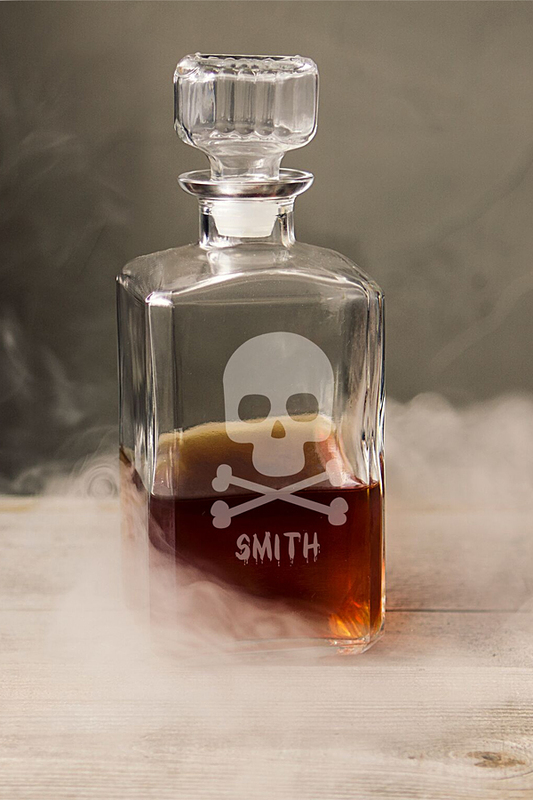 Add a striking piece to your spooky bar collection with this custom engraved 34 oz Halloween glass whiskey decanter featuring a skull and crossbones design. 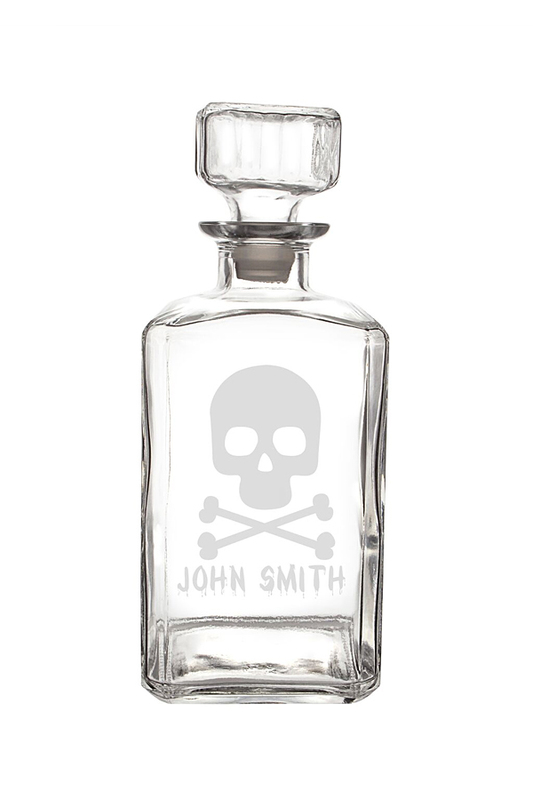 Personalize your decanter with one line of custom engraving; up to 12 characters. 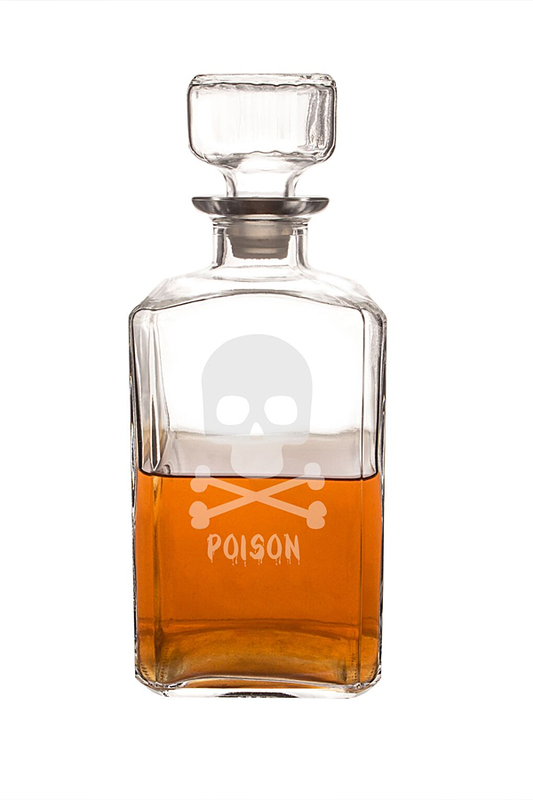 Each weighted decanter has a square silhouette, comes with a glass topper included, and holds up to 34 ounces. An ideal hostess gift for any whiskey connoisseur or for your own deathly bar collection. Dimensions: 4” L x 4” W x 9” H - Holds up to 34 oz. Features: A weighted bottom with a square silhouette on the decanter, a square glass topper, and free personalization. Engraving Options: May be engraved with a custom line (max 12 characters) at no additional cost. Please Note: Personalization is centered, but due to the hand-crafted nature of the glass, it may appear to vary.